NKU! 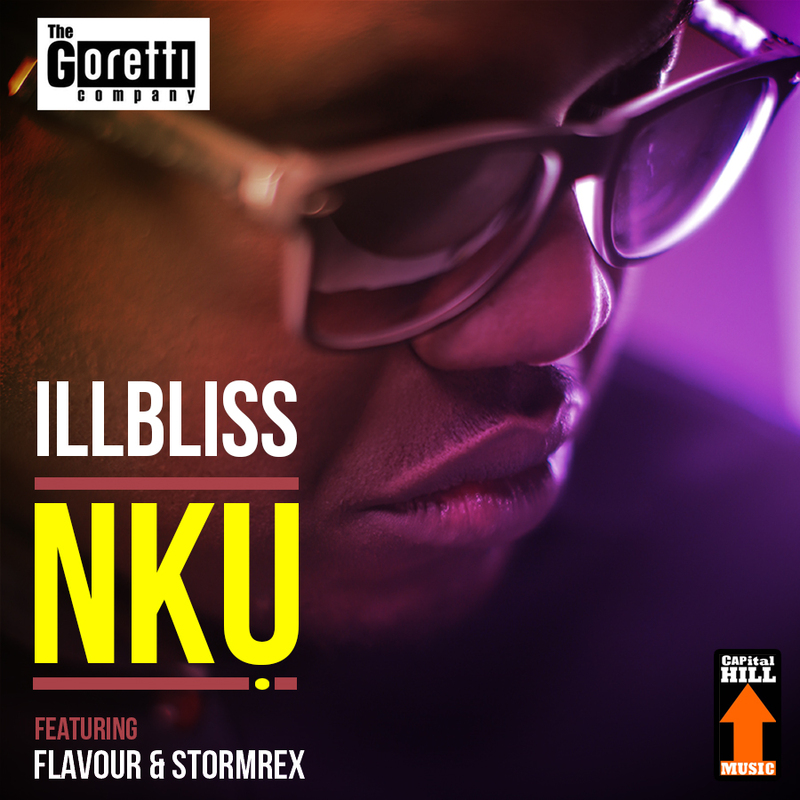 (Meaning Abundant Wealth in IGBO Dialect) is the official first single offILLBLISS‘s Fourth Studio Album, tentatively titled ‘iLLYGATi‘. The joint was produced by Kezy Klef, one of the fastest Rising Producers, based in Enugu, Eastern Nigeria. The song Features Africa’s Biggest Contemporary High Life artist FLAVOUR and STORM REX, popularly known to all as the queen of IGBO high life/pop Music. All three artists were born and raised in Enugu, Coal City, where their individual musical sojourns began. iLLBLISS (also Known as OGA BOSS) released his third studio album titled ‘POWERFUL‘ in June 2015, with the lead singles ‘Bank Alert’, ‘WTF’ (Featuring Olamide), ‘Chukwu AGOZiGO Gi’. The album scored a great deal of commercial success and critical acclaim amongst listeners spread across Nigeria and West Africa. iLLY is back in the studio, relentlessly working on the new project. A final release date is yet to be announced, scheduled to be released under the ever consistent CAPital Goretti Joint Venture.